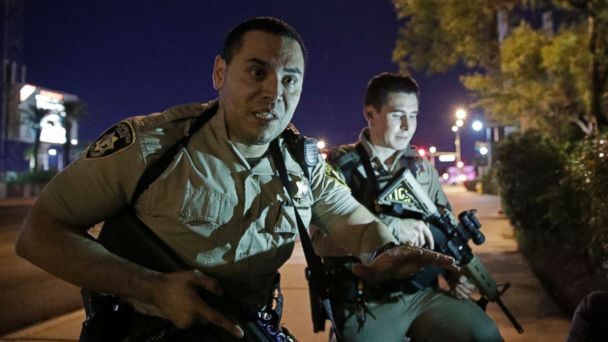 More than 20 people were killed and 100 injured when what appears to be a lone gunman opened fire from a perch high up in the the Mandalay Bay Resort and Casino in Las Vegas Sunday night, police said. The “nonstop gunfire,” according to one witness, sent bystanders outside the resort on the Vegas strip ducking for cover and fleeing for their lives. Tourists hid in their hotel rooms and flights headed into the McCarran International Airport were held elsewhere.